2:17 Hebrew it was about an ephah [20 quarts or 22 liters]. 2:20 Hebrew to the living and to the dead. 2:21 Hebrew Ruth the Moabite. 1 You may think you can condemn such people, but you are just as bad, and you have no excuse! When you say they are wicked and should be punished, you are condemning yourself, for you who judge others do these very same things. 2 And we know that God, in his justice, will punish anyone who does such things. 3 Since you judge others for doing these things, why do you think you can avoid God’s judgment when you do the same things? 4 Don’t you see how wonderfully kind, tolerant, and patient God is with you? Does this mean nothing to you? Can’t you see that his kindness is intended to turn you from your sin? 5 But because you are stubborn and refuse to turn from your sin, you are storing up terrible punishment for yourself. For a day of anger is coming, when God’s righteous judgment will be revealed. 6 He will judge everyone according to what they have done. 7 He will give eternal life to those who keep on doing good, seeking after the glory and honor and immortality that God offers. 8 But he will pour out his anger and wrath on those who live for themselves, who refuse to obey the truth and instead live lives of wickedness. 9 There will be trouble and calamity for everyone who keeps on doing what is evil—for the Jew first and also for the Gentile. [a] 10 But there will be glory and honor and peace from God for all who do good—for the Jew first and also for the Gentile. 11 For God does not show favoritism. 12 When the Gentiles sin, they will be destroyed, even though they never had God’s written law. And the Jews, who do have God’s law, will be judged by that law when they fail to obey it. 13 For merely listening to the law doesn’t make us right with God. It is obeying the law that makes us right in his sight. 14 Even Gentiles, who do not have God’s written law, show that they know his law when they instinctively obey it, even without having heard it. 15 They demonstrate that God’s law is written in their hearts, for their own conscience and thoughts either accuse them or tell them they are doing right. 16 And this is the message I proclaim—that the day is coming when God, through Christ Jesus, will judge everyone’s secret life. 28 For you are not a true Jew just because you were born of Jewish parents or because you have gone through the ceremony of circumcision. 29 No, a true Jew is one whose heart is right with God. And true circumcision is not merely obeying the letter of the law; rather, it is a change of heart produced by God’s Spirit. 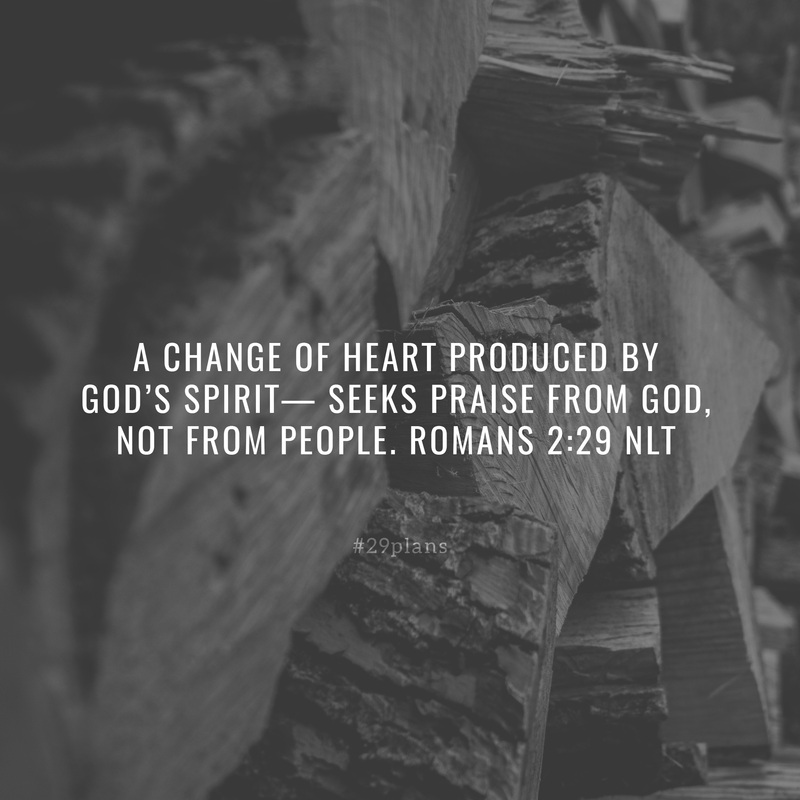 And a person with a changed heart seeks praise[d] from God, not from people. 2:9 Greek also for the Greek; also in 2:10. 2:22 Greek do you steal from temples? 2:24 Isa 52:5 (Greek version).